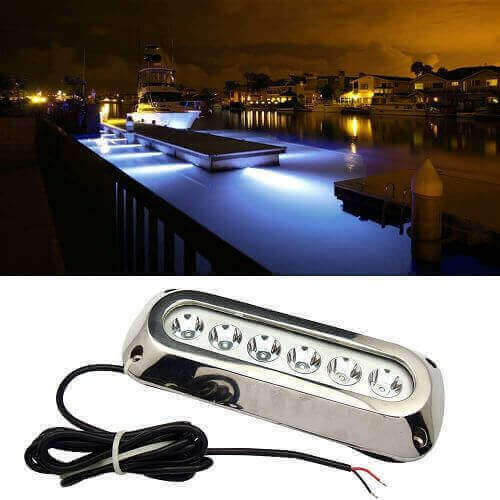 IMPRESSIVE LED LIGHT SYSTEM: Brighter than your average boat light but more energy efficient! 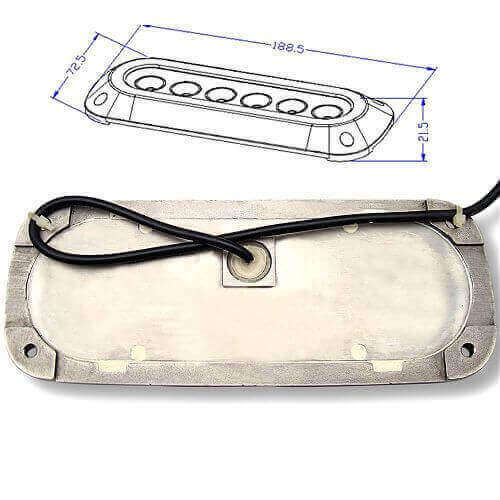 180° light angle that will illuminate the surrounding water offering great sight! QUALITY CONTROL: Each of our products go through a thorough quality control process! 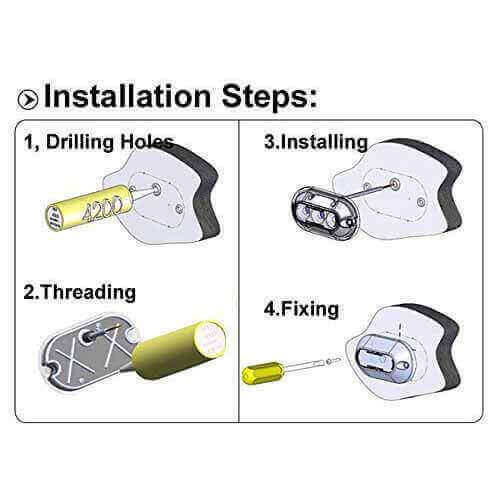 From shell molding, polishing, electroplating and many other procedures. During each stage of quality control, we always only select the best product to move on to the next round of processing. We are really proud of our quality! WATERPROOF & SHAKE-PROOF: Top quality housing made of a 316 stainless steel material offering unmatched anti-corrosive effect. The shell surface is chrome plated which not only adds a glossy finish but also further enhances corrosion and wear resistance. OUR PRODUCTS WILL EXCEED YOUR EXPECTATIONS: This product is expertly designed with users in mind and guaranteed to be long lasting and effective! 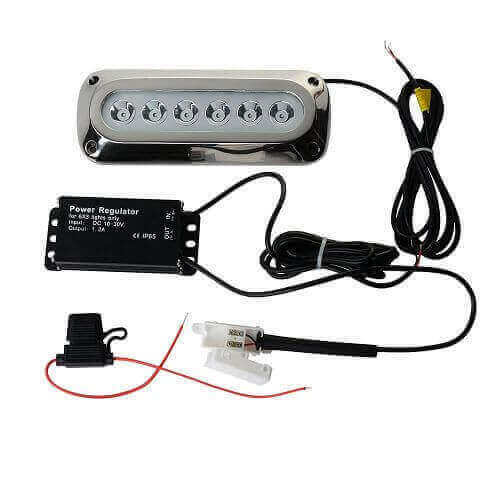 These 6x3W Rectangle Surface Mount Lights brings amazing heat radiation features to your boat as the aluminum housing and titanium alloy plated form an efficient cooling system which will protect the light and extend the life span of this product. 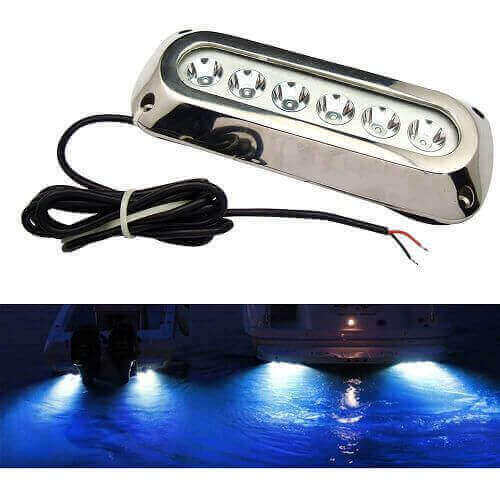 VERSATILITY AT ITS BEST: Use our lights for a broad range of marine applications, such as night fishing, lighting up your wave when going underwater as well as creating a good effect on your boat. Light up the water surrounding your vessel to make sure you perform your night water activities, like swimming or diving in total safety! 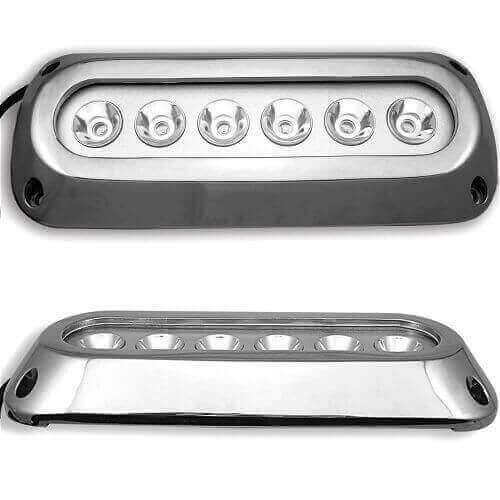 No need to mention how cool these surface mounted lights look! Upgrade Your Boat Or Yacht On A Budget! Make Them Glow In The Dark! Don’t Waste Any More Time! Place Your Order Now!